My husband is a neatnik and champion sleeper, and I’m messy and prone to insomnia. Could there be a relationship between household clutter and sleep quality? Yes, says Pamela Thacher, a psychology professor at St. Lawrence University in Canton, New York. The results of a survey Thacher and student Alexis Reinheimer conducted recently suggest that hoarders are more likely to have sleep problems than people living with less clutter, and that getting rid of clutter might be conducive to better sleep. It’s Cyber Monday, and maybe you’re looking for just the right gift for someone with insomnia. Not to worry. 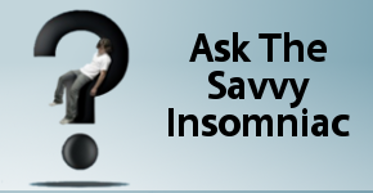 If you have insomnia, you’ve probably heard it’s best to avoid naps. Maybe you heard it from your doctor in a conversation about the rules of “good sleep hygiene,” or maybe you read it in a magazine. Is the advice to refrain from napping really sound advice and, if so, do you have to swear off napping completely to get a better night’s rest? There are no one-size-fits-all answers to these questions, say researchers who recently reviewed the evidence behind the recommendation to avoid napping and other sleep-related do’s and don’ts. It depends on your age and situation. People sometimes offer advice when they hear about my insomnia. Their suggestions are not always helpful. 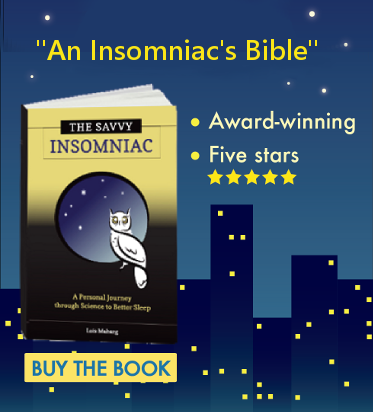 In fact, I used to feel impatient with–and occasionally hurt by—comments that to my ears sounded judgmental or attitudes toward insomnia that I felt were just plain wrong. The comments were well meaning, but that didn’t make them easier to tolerate. Here are a few that put me off and what I think about them now.